Commercial cleaning packages are available to suit your needs and budget. If you are currently getting your commercial property cleaned, we are more than happy to compare prices and make a better offer. Our commercial cleaning packages include such services as cleaning all surfaces, removal of waste, dusting, vacuuming, window and door cleaning and much more. 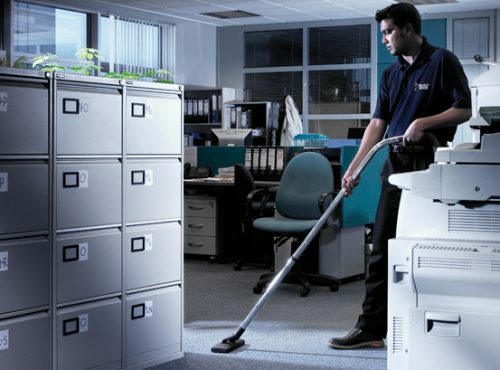 Our organization will make sure your commercial work place is a clean environment for all staff at all times. A 24 hour, 7 day a week on call commercial cleaning service is offered to all our clients in case of problems or emergencies. A Sydney Cleaning Pty Ltd staff member will be sent out to your premises within a period of 2 hours, after receiving a call to find the solution. A range of cleaning services are available such as commercial cleaning services, commercial carpet cleaning, office cleaning services, end of lease cleaning, retail cleaning, showroom cleaning and all commercial cleaning requirements in Sydney. All our cleaning staff have identification cards and company uniforms for your safety and peace of mind. Only the best and top quality cleaning products will be used in your home and that’s a guarantee from Sydney Cleaning Pty Ltd.
No commercial cleaning job is too small – We take them all! 100% satisfaction guaranteed or you don’t pay a dollar. Our organization has done commercial cleaning for major companies, large strata buildings, Sydney airport, the department of housing and many more. 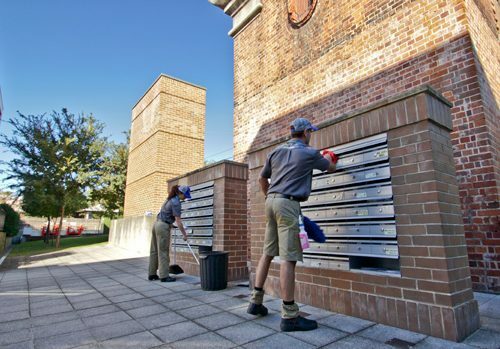 Sydney Cleaning Pty Ltd provides cleaning for strata and housing commission buildings villas and their surroundings. This includes the vacuuming and/or mopping of stairwells, foyers, and laundry areas, replacement of light globes, basic handymen work, cleaning of garbage areas, lawn mowing and garden maintenance, Carpet steam cleaning and deodorizing, emergency work, graffiti and rubbish removal. Finally a 24 hour caretaking service is also included. Call Sydney Cleaning Pty Ltd today on (02) 9637 9734 to discuss your commercial cleaning requirements. Let us hurt your dirt!